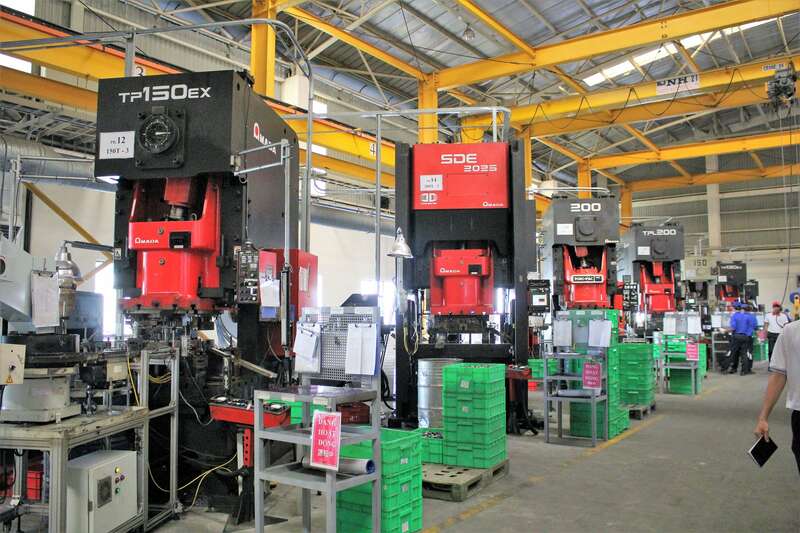 Along with owning a stamping machine with stamping force up to 200T, servo stamping machine, we entrust domestic companies with state-of-the-art equipment and advanced processing technology, so we have strong manufacturing capabilities that integrate large products from stamping to surface treatment. We associate and cooperate with domestic businesses to help customers reduce production costs while providing customers with products and services of Japanese quality standards. 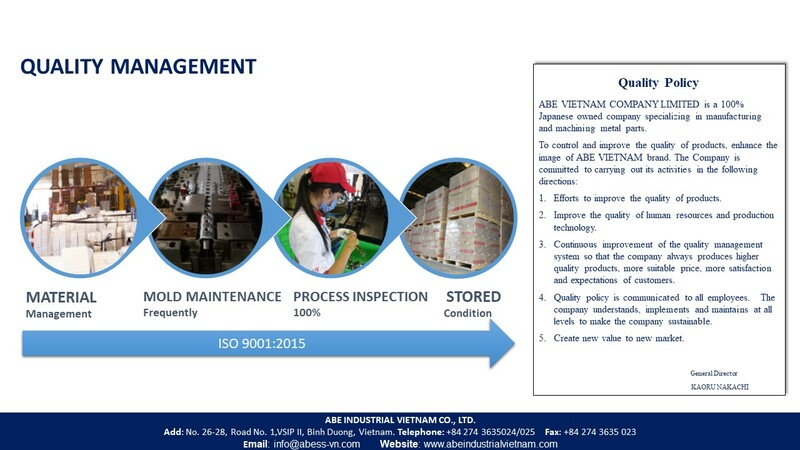 The machine system at ABE industrial Vietnam is modern, advanced and imported directly from AMADA Company with many types of machines such as stamping machine, welding machine, robots machines ... satisfy all needs of domestic and foreign customers. We produce steel products for the construction and water supply such as: washer, pipe fixing tools, round pipes .... multiform model and size according to the customers' requirements. We entrust domestic enterprises with state-of-the-art equipment and advanced processing technology, so we have strong manufacturing capabilities that integrate large products from stamping to surface treatment. We can make many shapes. sizes and materials based on customer requirements. Stamping the logo, number on the product according to the request of customers.